“Breast cancer is the trip no one wants to take, but it is a road well traveled with one and eight women diagnosed. Like so many women, when I was diagnosed I felt lost. I did not know what to ask or expect and I did not understand the medical language. I just knew on this trip I wanted to get out alive, keep my quality of life intact and not make a return visit! Doctors will tell you how they will treat your cancer, but it takes survivors to tell you how cancer treatment will affect your lifestyle: how to prepare and what to expect during treatment, how to deal with side effects and body image issues and how to balance work-family-community while keeping your head together and looking and feeling your best. How is your book different from other breast cancer guides and biographies? When I was facing my own cancer journey, I found plenty of medical books on cancer and a lot of survivors’ personal stories. There were helpful single subject books on cooking and cancer nutrition, psychology and beauty. But I did not find a book that addressed the management of both your cancer and your well being. I wanted something like a travel guide covering a wide range of topics with great perspective, telling me what to expect, how to prepare myself, what I needed to know about taking care of myself and how to look good despite side effects. My book takes a “360 approach” to facing cancer head on. Medical doctors will tell you the scientific side of cancer, its treatment, and how to fight it; but only a survivor can provide the insight from the personal side on how to incorporate cancer into your daily life and stay in control. I also provide plenty of insights on what to expect and how to manage issues regarding skin, nails, hair and oral care. Maintaining your looks is very important to boosting self image during treatment. I provide tips that address how to look better as well as feel better. What will the cancer fighter/survivor learn? This is both a cancer and healthy lifestyle management book. If you take the cancer section out, I address practical matters like health insurance, assembling a health care team, skin and dental care, smart nutrition, fitness and sexuality. These are every day issues that need to be understood and managed for the rest of your life after you beat cancer. As a wine and food industry professional, how challenging was it to face changes in your diet and palate during treatment? It was challenging but I was accepting. During treatment I needed to adhere to a strict, simple, low fat-high protein diet, and abstain from all alcohol. Chemotherapy affected my sense of smell which became much stronger and more sensitive, and food tasted differently. 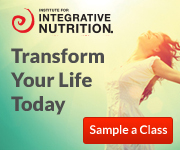 I really did not want to eat too much for fear I would have a reaction or become nauseated; yet, I felt eating smaller, more frequent meals was very important for my energy. The good news is that, because of healthier diet and steady exercise, my skin looked better and I was in the best physical shape I could be in to fight the effects of treatment. 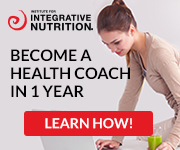 How did you change you diet? I decided to retool my diet permanently as a result. Before my cancer diagnosis I lived to eat well as a frequent restaurant goer and professional eater. Having cancer taught me to “eat well to live well.” My focus is careful consumption and mindful moderation: simpler, plant based meals, lean protein and smaller portions without sacrificing quality. In the book you speak frequently of “The Holy Trinity” Can you explain this? 1) Hydrate, as in drinking lots of water, fresh juices or non caffeinated herbal teas. 2) Gyrate, as in daily exercise, even if it is a brisk 30 minute walk outside. Movement kept my metabolism strong, maintained my energy level and helped with my neuropathy, muscle and bone pain after surgery, and during treatment. 3) Masticate: Eat with purpose. Many cancer patients are under nourished because they do not feel like eating, or are eating the wrong foods. It’s terrible! Food is the fuel you need to keep your system strong. What were your biggest challenges during treatment? Like many cancer patients, the emotional impact of the diagnosis was simply devastating – like a sharp punch in the chest. On top of that my father was put in hospice for advanced prostate cancer shortly after my diagnosis. He died after my second surgery and before I started treatment. I was extremely close to him, and he was also my company’s C.P.A., so we were tied together in business as well. Losing him and not being able to take the time to mourn or deal with the fallout from his death was very hard. I also chose to keep my diagnosis quiet in my professional arena. I was afraid my clients would walk away, and I would lose my business and face financial ruin. It was like living two lives: business professional by day; cancer patient at rest by night. Finally, no one really explained “chemo brain” to me and how it plays with your head. By the end of the day it was hard to remember words or focus on anything. My head felt like it was sliced in two and put back on off-kilter. I address this fully in my book. 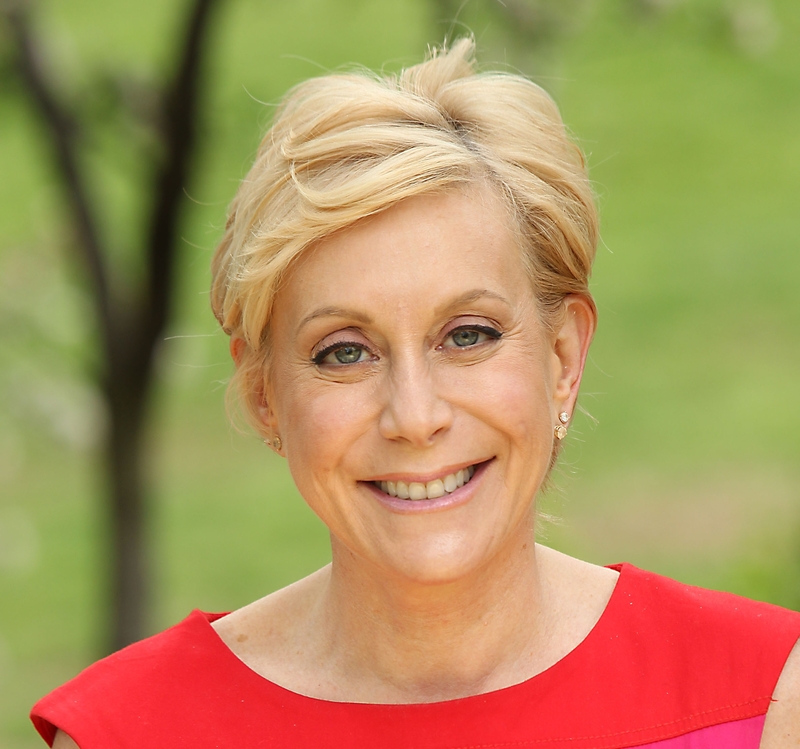 Studies have shown that many women are impacted by “chemo brain” for years afterwards. How did you handle chemo brain? I played word games, like Scrabble. I prioritized activities to tackle more demanding ones in the morning after my work out when my mind was sharper. And when the chemo brain kicked in hard, I turned off the electronics and tuned into music. Or I would take a walk or hit the reclining stationary bike. I also cleaned out closets and drawers; organizing and tossing out clutter was soothing. How did you adapt to life after treatment? You underwent genetic testing for the BRCA gene mutation. What is your advice to other women? I am very glad I underwent testing after my breast cancer diagnosis. It answered a lot of questions for me. I tested positive for the BRCA2 gene mutation and chose to have a prophylactic oophorectomy to remove my ovaries and Fallopian tubes. My advice to women is to do whatever it takes to make sure you have no further long term health risks. Discuss your options with your medical professional and your family. Then, follow your gut. Any cancer survivor will tell you that they never want to undergo the experience again. If genetic testing can give you clarity on what steps you need to take, then do it. 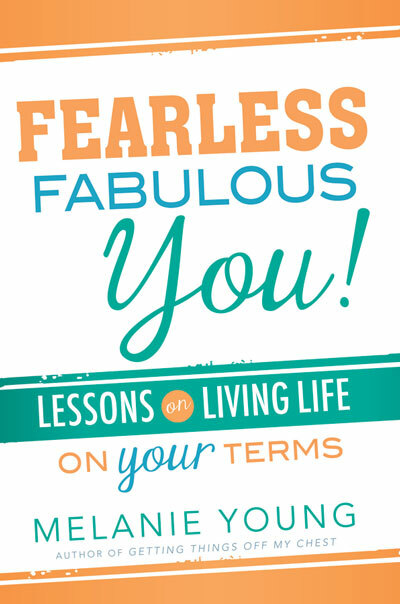 In her new book, Fearless Fabulous You! Lessons on Living Life on Your Terms! (Cedar Fort/Nov. 2014/$12.99/ISBN 9781462114440) Young outlines Five Restorative Paths, in 25 essays and 125 fearless lessons for learning to reset your life back on track and rediscover joy and purpose. While the book is based on her own journey from “striver to thriver” Young says it will help anyone facing a challenge, setback or emotional road block. 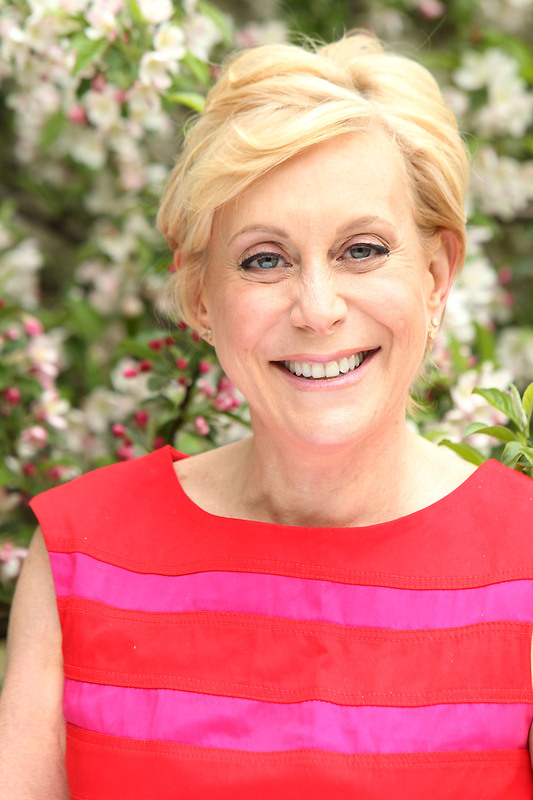 ”I want to help you avoid emotional burnout and take your life from fizzle to sizzle to reignite your vision of living life on your terms,” said Young. Recharge. Center yourself by making your well-being a priority. Make smarter choices to improve your physical and emotional health, including diet, exercise, stress management and revaluing in your self worth. Release. Let go of anything that bring your down emotionally. This may include negative thoughts, toxic people, or a stressful job or any other situation that could be detrimental to your mental or physical well being. Reconnect. Take stock of your skills and talents and think about how to retool them in ways that give you joy and renewed purpose. Reframe. Take a negative situation. Turn it around in your mind and look at it in a new way. What can you learn from it to make a better life?. Reclaim. Learn to define and live your life by your own standards of happiness, success and who you want to be and not by anyone else’s criteria. 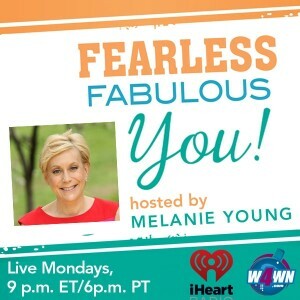 Now a health coach, Young hosts the weekly radio show “Fearless Fabulous You!” on W4WN- the Women 4 Women Network featuring inspiring women and health and wellness experts. 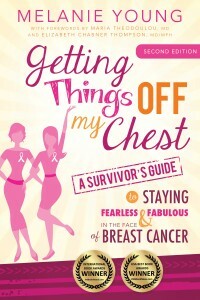 Her first book, Getting Things Off My Chest: A Survivor’s Guide to Staying Fearless & Fabulous in the Face of Breast Cancer (Cedar Fort, 2013) is recipient of the 2014 International Book Award and USA Best Book Award for cancer health topics. Follow her at www.melanieyoung.com and http://twitter.com/mightymelanie. Sample questions: Fearless Fabulous YOU! 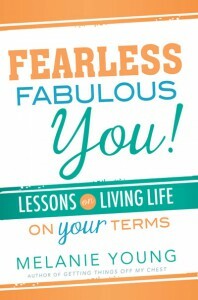 In your new book, Fearless Fabulous You!, you talk about “being stuck” after completing your own breast cancer treatment? Is this common and how did you deal with it? 3. What are same ways to turn stumbling blocks into building blocks? 4. In your book you discuss how to “redefine happiness.” Can you elaborate? 5. Even though your new book is a result of your own “healing journey” after cancer, you say the life lessons learned apply to everyone. In what way? 6. What do you tell someone who can’t seem to lift themselves out of their “emotional box”? 7. You made some significant changes in your life in the five years after your 2009 cancer diagnosis, what were they and why did you make the decision? 8. 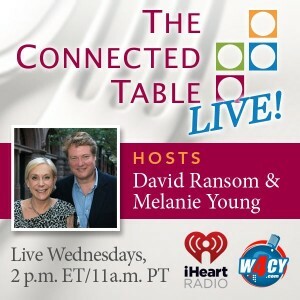 How have those changes impacted how you live today and what lesson from it do you want to share with our listeners? 9. What is your final tip?